Everything you need to know about caravanning in bad weather. Doug King is a firm believer in using his tourer regardless of the weather. It keeps it in good condition, he says! Here he explains how to get the best out of your caravan holiday, come rain or shine. Caravanning in bad weather is a good idea: it can help fight the damp that may occur if the caravan is left in storage for long periods. It also increases the value you get from your investment, rather than allowing it to depreciate unused day by day. Never block any air vents to reduce draughts because it may allow a build-up of poisonous fumes produced when the gas hob or oven is used in the event of faulty components. Opt for propane LPG, because it will ‘gas’ at much lower temperatures than butane, which is more commonly used. Insulate an external fresh-water container and the pipe connecting it to the caravan. Add some salt to the waste-water container to prevent its contents from freezing. Use a porch awning to store wet clothing and boots rather than taking them into the caravan. It also reduces the amount of cold air that gets inside when the door is opened. Only push the caravan to get it off a boggy pitch when it is not hitched to the tow car. Pushing the caravan when it's hitched up applies the caravan brakes. Carry five pads: one to go under each steady plus one to go under the jockey wheel. A small 2kW electric heater can supplement the caravan’s own heating system. In summer it can be used to blow cold air around the caravan. Modern caravans are designed to be used year round. This isn’t just an issue of missed opportunities to get away – those who tour in the ‘off season’ love it – but one that may have an impact on your van’s condition. Leaving a tourer unused for long periods has two detrimental effects: its value declines at a rate of knots and there is the risk that damp will affect its structure. Also, many owners only caravan during good weather; recent years’ experience shows that this can be a very hit-and-miss exercise! To get the most out of the investment you’ve made in your caravan, use it whatever the Met Office predicts. And plan ahead; it can mean the difference between enjoying your break and wishing you hadn’t gone in the first place. Let’s look at what you’ll need when the sun fails to shine. Caravan dealers usually supply butane LPG to caravanners unless specifically asked for propane. Butane – in blue cylinders – is unsuitable for use in winter, early spring or late autumn because it will not ‘gas’ below 1C. However, propane – in red cylinders – will do so down to -40C, so swap to propane. In addition, unless your caravan has a bulkhead regulator, you have to buy a dedicated propane regulator. Keep an eye on what’s left in the cylinder, because LPG has a habit of running out at the most inconvenient times – either during the night or first thing in the morning before you’ve dressed! Products such as Truma’s LevelCheck will help with this. Finally, a warning: never use the oven or grill to warm the van because, if there’s a fault, carbon monoxide – which is a by-product of combustion – is a killer. Most sites have electric hook-ups, including those with five pitches affiliated to the major caravanning clubs. This enables you to supplement your van’s heating system with a portable 2kW heater. However, bear in mind that the amount of electricity you get from the site can vary according to the number of caravans connected to a bollard. For example: although the maximum current available may be 32A, you need to divide this by the number of caravans hooked-up to it; if there are four, each gets 8A. So if you are running the space heater and the hot water system and want to boil a kettle, you may have to switch off one appliance to avoid tripping the current at the bollard. If the caravan has an inboard water tank, it should be used because it will prevent the water from freezing. However, if you use an Aquaroll or other external water container, insulate it against the cold. An old anorak wrapped round the container and the supply pipe can be very effective but for the best results use a purpose-designed jacket. However, avoid any that require the full container having to be lifted into the jacket – a full 40-litre Aquaroll weighs around 90lb. Instead buy a wrap-around jacket, and preferably one with an aluminium lining. The jacket can then be used in hot weather with the aluminium lining on the outside to reflect heat rather than absorb it, and keep the water cool. It’s not necessary to insulate the waste water container or the pipes from the caravan waste outlets. However, add salt after emptying the container to prevent freezing. If you don’t have captive pads fitted to the steadies, you can make your own. Four pieces of 12mm-thick wood 15cm x 15cm square should be sufficient. Place them under the steadies to prevent them from sinking into soft, soggy ground. While you’re at it, cut a fifth pad to go under the jockey wheel to prevent it from sinking into the muck when you’re levelling the caravan front to back. If the caravan is pitched on a slope, wooden blocks placed between the pads and the steadies will spare you the trouble of winding the steadies a long way down. Blocks should also be used as chocks in front of or behind the wheels to prevent the van from moving when pitched on a slope. You’ll need blocks to keep the tourer in place anytime the ambient temperature drops to 0C. This is because the caravan’s handbrake should not be applied in freezing weather or it may freeze to the drums. To ensure the pads and blocks last a long time, soak them in creosote for two or three days before use. Wet weather may turn your pitch to mud by the end of your stay, so carry a pair of track mats to give the tow car’s wheels something to grip. Caravan accessory shops stock them. When the tow car cannot pull the caravan off the pitch, unhitch the van and drive the car forward on to firmer ground. Then use a tow rope, available from high street car accessory shops, to pull the caravan off the pitch. Bear in mind, though, that tow ropes are intended for use with rolling loads – not bogged-down caravans. Therefore, make sure everyone stands well clear before you start towing in case the rope breaks. If you ask people to help push an outfit off the pitch, tell them to push the tow car, not the caravan. Pushing a hitched caravan won’t budge the car, and will apply the caravan brakes. Only push a van if it is uncoupled from the car. Regardless of the weather forecast, be prepared for poor weather by taking suitable clothing with you. Wet gear, waterproof headgear, wellingtons, walking boots, thick socks and the like are essential if you’re going to enjoy your break. Similarly, suitable bedding will ensure you don’t get cold at night. So replace your summer-weight duvet with a winter one – or take extra blankets. A porch awning really comes into its own during inclement weather – it suddenly fills a new role as the smart place to store wet gear, rather than hanging it in the caravan. A porch awning also reduces the heat that escapes from inside when you open the caravan door. An awning carpet will help prevent mud from being tracked into the caravan. Snow build-up on caravan roofs isn’t usually a problem in the UK, but on an awning it can be, so remember to brush any white stuff off before it causes the awning to collapse. Similarly, ensure the awning roof is set at an angle that allows rain to run off rather than pool. When you go out for the day, lower one corner of the awning to encourage rain to run-off. Snow build-up, especially in blizzard conditions, can block the floor air vents or wall vents, such as that for the fridge, so keep them clear to prevent potentially dangerous fumes from building up inside. And never block vents to reduce draughts. Before leaving for home don’t forget to drain down the hot water and inboard tanks; if water is left in them, it could freeze and cause damage. Also, leave all taps slightly open so that if the residual water in the pipes freezes the air can escape as the ice expands. If you're interested in winter caravan holidays, check out Laurens 3 reasons to go on a Snowdonia camping trip and 5 locations for camping in Scotland. Do you have any more great tips or stories to add?  We'd love you to chat to us via our dedicated Caravan Sitefinder Facebook page.